Car mechanic Mercy Thompson has always known there was something different about her, and not just the way she can make a VW engine sit up and beg. Mercy is a shapeshifter, a talent she inherited from her long-gone father. And she's never known any others of her kind. Until now. As Mercy comes to terms with this new information, an evil is stirring in the depths of the Columbia River. Something deadly is coming, facts are thin on the ground and Mercy feels ill at ease. However, her father's people may know more. To have any hope of surviving, Mercy and her mate, the Alpha werewolf Adam, will need all the resources the shifters can offer. Or death will be the least of their worries. 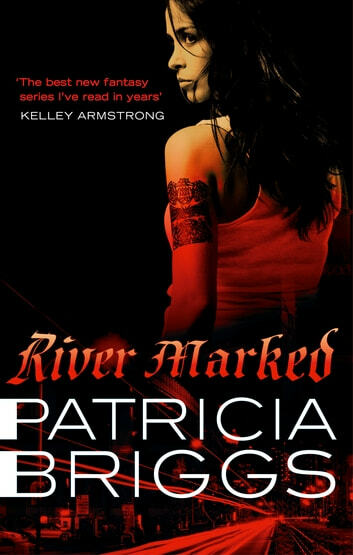 Another good read from Patricia! Love this series with all the amazing characters. Now for the next! 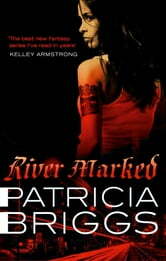 Another great book by Patricia Briggs. I love Mercy and Adam, but especially Mercy. This time Mercy and Adam are heading to their honeymoon when the fae ask them to pop into a certain campground as people have been going missing (of course it was way more detailed and planned then that!) When you find out how they have been going missing, it is pretty epic and scary! Along the way Mercy meets other Native Americans who question her on her past. Some of the old spirits such as Coyote and Hawk make an appearance to make this another action filled book! Parts of this book were quite sad, and make sure you read Mercy's letter to Adam at the end of the book! There isn't a lot of the secondary characters in this book, but the introduction of new characters and the fast pace of this book doesn't really make you miss them as you are too focused on Mercy and Adam surviving to really worry! Well done Ms. Briggs another great book!